North Cornwall In A Box. 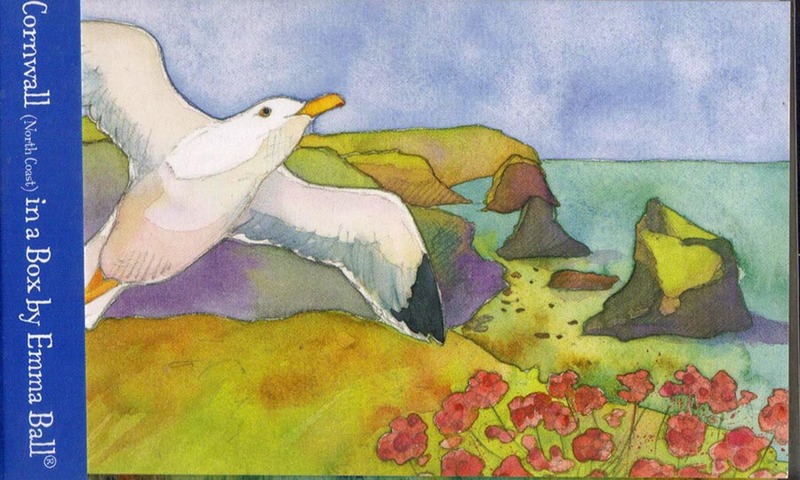 10 Notecards of north Cornwall with images by Emma Ball. Padstow, Sennen Cove, Port Isaac, Wheal Coates, Porthmeor Beach, Post Office Tintagel, Boscastle, Levant Mine, St Ives, Bedruthan Steps. 12.5cm X 7.5cm, blue envelopes.